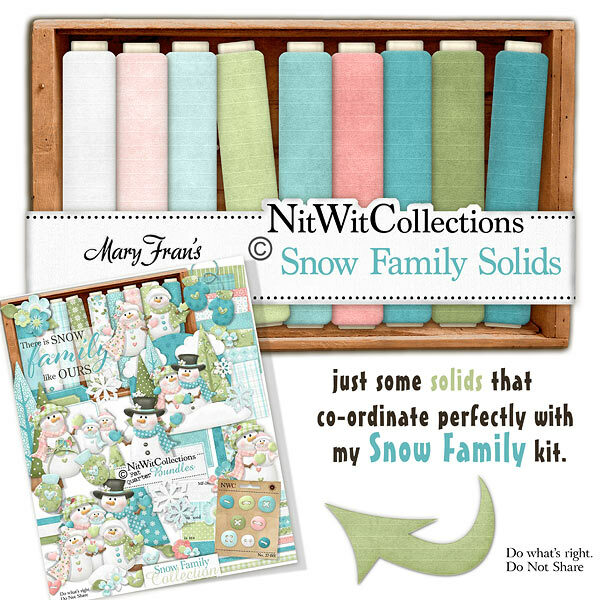 "Snow Family" Solids offers the solidly coloured digital background papers that we all love to use. Essentially like digital cardstock paper! These digital papers are NOT included in the FQB "Snow Family" Collection so please don't miss out!